COM’ON Gyro is based in Caen. 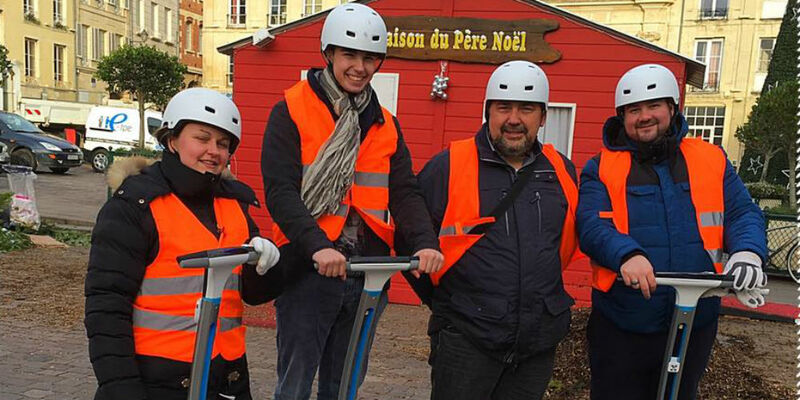 We offer urban walks Segway (Segway type), and elsewhere on the Caennaise region. Also, we operate in the areas of street marketing and events. With Ninebot, and as the Segway he uses the same gyroscopic system, you will have an unforgettable time. With family, colleagues or friends, try this incredible device. It is the ideal partner to visit a city: no noise, no pollution, not tired! Security Training and accessories included!